In this week’s roundup of creative goodness, we have a fantastic photo manipulation tutorial, a terror style movie poster tutorial, a bright cosmic illustration tutorial, an overview of modern day icon design and an inspiration roundup of Tron Legacy promo art. 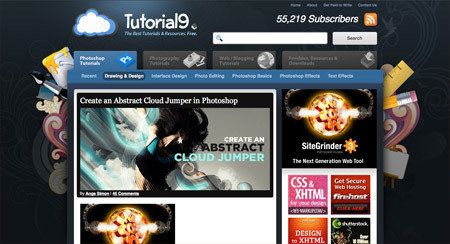 Follow this tutorial from Tutorial9 to create a fantastic cloud jumper abstract photo manipulation. Create a old style horror movie poster with this Photoshop tutorial from Outlaw Design Blog. This tutorial from Design Instruct covers the process of creating a bright meteoric composition complete with awesome light effects. This second article in a two part series from PSDTuts explains the theory and history of icon design right up to the modern day icons we all love. 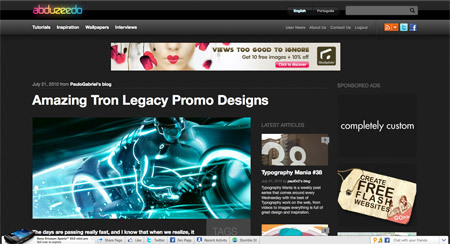 Design instruct made me smile since it’s nice to see a really good tutorial made by one’s homeland fellow. 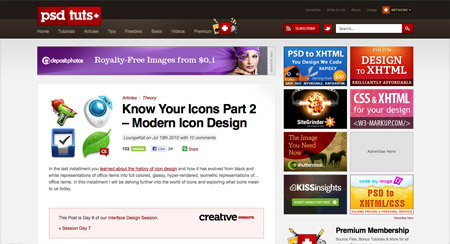 Thanks for “Know your icons” article, useful text. No favourite this week. Hard to pick one! That’s a pretty decent set this week. Well done pulling those together. Earlier I had a lot of fun with the terror style movie poster. You never know when you might need to be able to design something scary. 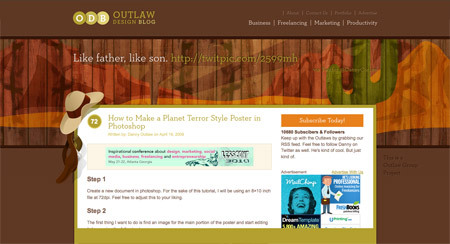 Good RoundUp Chris, that tutorial from Design Instruct was really awesome! Thanks for sharing these resources – very useful!